Maine Gov. Paul LePage has lost his mind. I can’t confirm that Maine Gov. 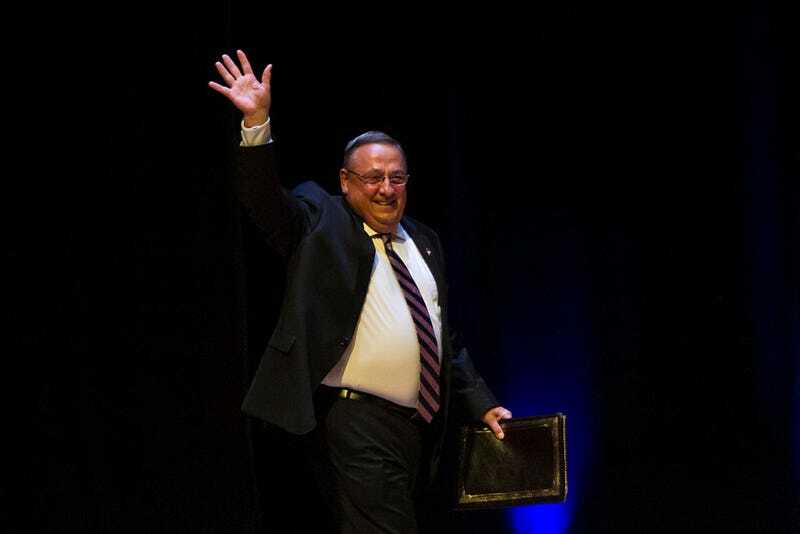 Paul LePage ever had a mind, but I’m giving him the benefit of the doubt here. I can say that his comments Tuesday that Rep. John Lewis (D-Ga.) owes President-elect Donald Trump and the GOP a “thank-you” to be clear signs that LePage is off his rocker. GOP members have been trying to find a way to smooth over the feud between civil rights icon Lewis and the tweeter-in-chief that began Friday after Lewis noted that he didn’t find Trump to be a legitimate president. Trump took to Twitter—please don’t tell me you were expecting something else—to call out the civil rights hero as being “all talk” and “no action or results.” Yep, that’s right, the president-elect called the man who was beaten during the 1965 march in Selma, Ala., alongside Martin Luther King Jr. all talk and no action. Instead of the Grand Old Party coming out and just saying, “Hey, look, our dad is batshit crazy, so we don’t know what he’s talking about,” it keeps trying to defend him. Surely LePage knows that the Republican Party that helped free the slaves isn’t the same Republican Party that exists now. And surely he knows that not attending the inauguration of one presidential-troll-in-chief-elect is not mean—it’s just. Nope. During the same radio show, LePage blasted Rep. Chellie Pingree (D-Maine) for saying that she would not attend Trump’s inauguration.